At StoneCutter we use the same time and care that the ancient Maori used to fashion their stone treasures, to both fashion and treasure our wines. 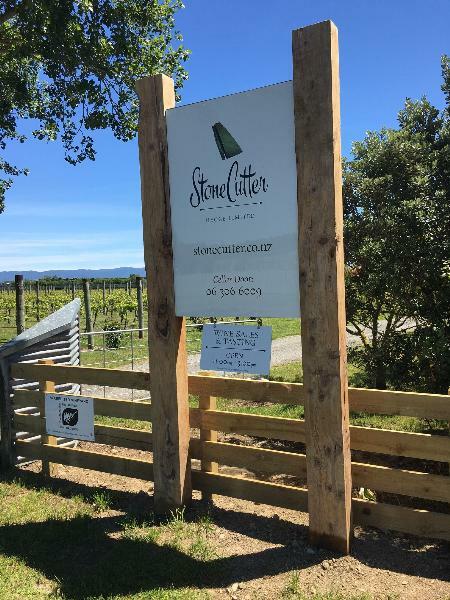 StoneCutter is a boutique estate specialising in Pinot Noir and Pinot Gris. Rounding out the range are Stonecutter’s delicious Merlot, Topaz, and Amber wines. Stonecutter's philosophy is to lightly crop from well-tended vines, producing fruit and wines with intense flavour. StoneCutter’s first vintage in 1999 indicated a special terrior, with wines of exuberant power. Fifteen vintages later and the superb terrior of Stonecutter has produced a sequence of wines of consistently excellent quality. At StoneCutter Vineyard & Winery, small crops of intensely flavoured fruit from our boutique Martinborough vineyard are lovingly hand crafted into exceptional wines of distinctive character at our on-site winery. It’s a reflection of the dedication, patience and commitment to perfection that the ancient Maori used to craft their greenstone treasures.